I think I'm a bit cross stitch crazy these days - it has taken over my life! Another final finish of a piece I worked on in (oh dear, do I have to continue?!) ahem - December 2016! How can it possibly be that long ago?! 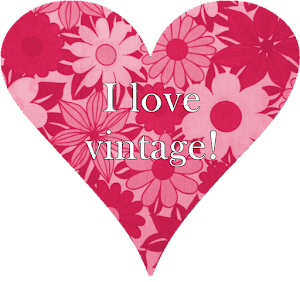 I even blogged about it here! 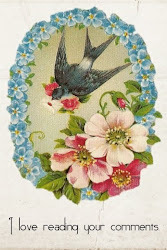 It is from a Cath Kidston book "Make & Sew" and I loved the pattern. 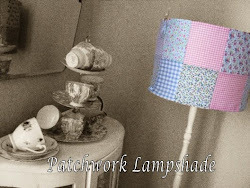 Just added some gingham fabric and now have (another) little wall hanging. Hope you all had a lovely Easter weekend. The sun is shone all weekend here in Greenock and we had a lovely Easter lunch with family. Here's my latest fully finished cross stitch project - "I love Greenock". 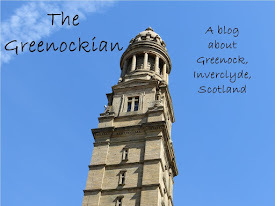 Greenock is my hometown and a port, so I went for a nautical colour scheme and theme. I'm quite happy with it! I thought it would look good on a "driftwood" background, and fortunately Hubby found just the right bit of wood in his stash. See, it's not just us girls who have stashes of things that "might come in handy! I sponged the wood with some watered down white paint for effect. Two eyelets at the top with some white cord through them finished the look. 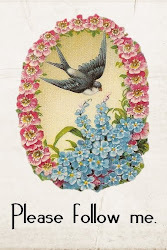 I've been getting a bit muddled while trying to finish off some of my projects, but Lynn on her blog, Happiness is Cross Stitching had a fabulous tutorial on how to add fabric to stitched pieces. She has lots of photographs to show how it is done and by following her instructions, I found it a lot easier to complete my sewing. 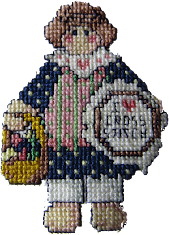 Lynn's blog is really beautiful and she has a few free cross stitch patterns too, so check it out here. The sewn piece is attached to the wood with velcro, which means that I can change the cross stitch anytime. I added my name to the back along with a little ribbon label. The inspiration for the lettering came from a Lizzie Kate pattern I stitched recently. 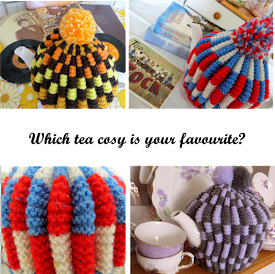 Here's my latest knitted tea cosy - perhaps I should call it my St Clement's tea cosy after the rhyme. "Oranges and lemons say the bells of St Clement's." I'm beginning to think that perhaps it would be more suited to Hallowe'en than spring! I wanted to use up some of the dark grey yarn I had in my stash and thought I would brighten it up a bit with the bright orange and yellow. 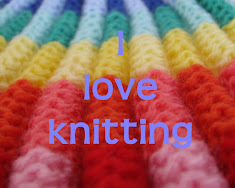 Anyway, it is finished, so I can go out and get some nice new spring or summery coloured yarn for my next tea cosy. I got this vintage plate in a charity shop a few years ago and always bring it out for biscuits and cakes at this time of year. It is just perfect with its pattern of lovely spring flowers. Hubby bought me this pretty bunny (instead of an Easter egg)! - I've called her Beatrice, isn't she cute? These daffodil flower heads had broken off and were lying on the grass in the garden. Getting a close look made me realise just how intricate they are. Finally got around to completely finishing off my latest cross stitch Christmas Is ... by Lizzie Kate. Made a little wall hanging by attaching the cross stitch to some red tartan and adding a little wire hanger through some tartan ribbon. Used a different tartan for the back. Think I'll put it here beside the cooker when Christmas time comes around - that is if I remember where I've put it by then! As for my find - got these two wooden candlesticks in a charity shop for just £1. They will be sanded and painted white and I think they will look really good in my kitchen. Yes, the flowers behind them are the ones I blogged about at the end of March - they have lasted really well! Do you dunk your biscuits in your tea? I only dunk rich tea fingers - don't know why. Perhaps it's because they are just the right size for dunking! 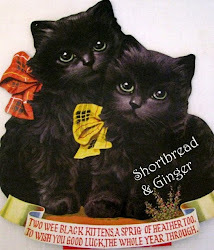 Bought Nice biscuits at the weekend, but would never think of dunking them, much as I love them! I've heard some people say that they dunk chocolate digestives in their tea - argh - not for me! Does anyone dunk biscuits into coffee? I only ever have the occasional cup of coffee, but wouldn't even think of it! So, go on ... what kind of biscuits do you dunk? Literally - I just made it! Look at those margins! I got this Lizzie Kate cross stitch pattern from a local craft shop shop. I wanted to start right away, so when I got home a found a piece of fabric which looked like it might fit. I found the centre, put it in a hoop and started. This is how it turned out! How on earth could I have so misjudged the centre? Also cutting it fine with how much space there would be left on either side. But at least I used up a piece of fabric from my stash. Going to make a hanging, finish it on some red tartan - also from my stash! 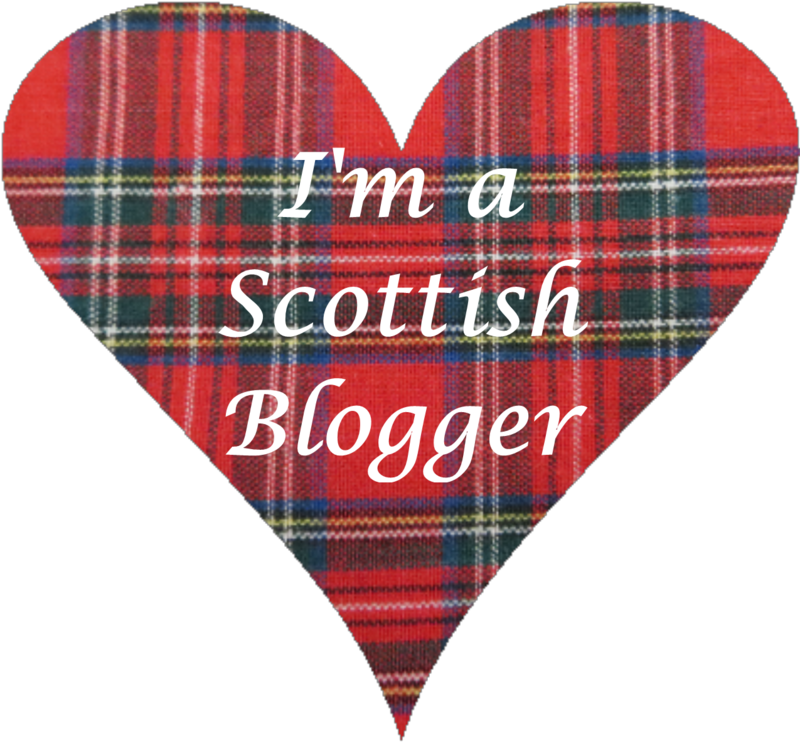 Every Scottish crafter will have a bit of tartan somewhere - am I right, folks? 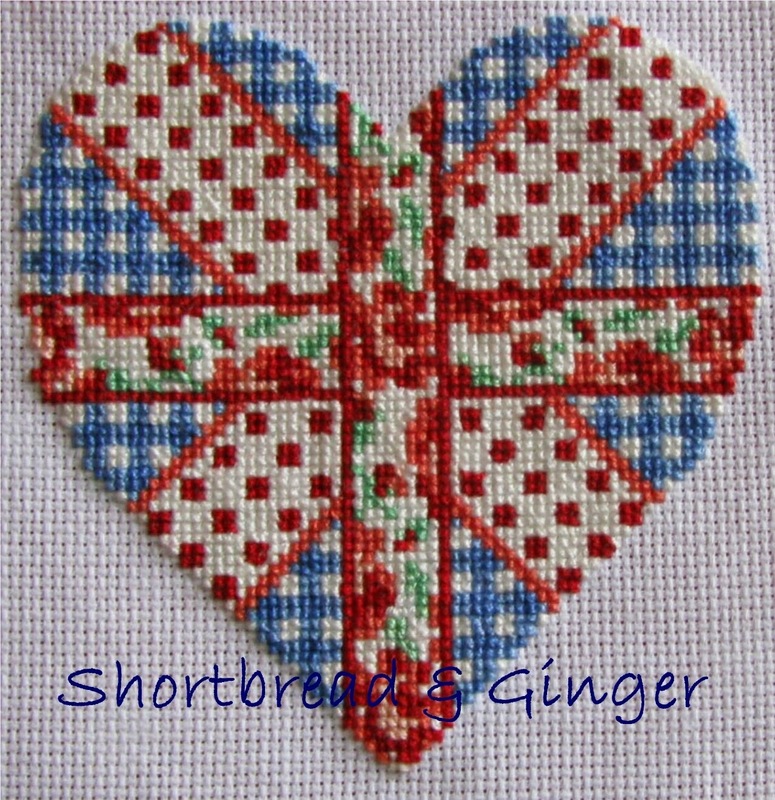 Love this little quilt shop stitching from Cross Country Stitching. Changed the colours. The little stand is one of those that come with a tiny canvas - I just painted it white. Think it's great for showing off little stitchings. Must finish it off with some fabric, though. Not so sure about this one ...hmm! Too pink, perhaps. But at least I centered it properly! 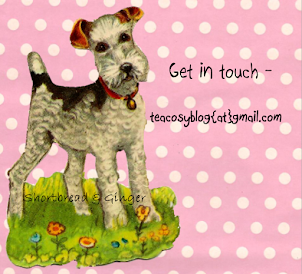 It's been a busy stitching week! I found some of my old cross stitch pictures which used to be on the spare room wall, but were taken down when we redecorated and not put back up again. This one is dated 1994 - can you believe that! All that time ago - my boys were just little at the time. The pattern is from Cross Country Stitching magazine (as are most of my cross stitchings). I must put some of my pictures back up now that I am "into" cross stitching again. The gerbera plant is for the garden, but it will have to wait till this cold snap is over! We actually had hailstones on Tuesday! Ah well, back to my stitching - nearly finished another little project. Oh my goodness, I can't stop looking at these gorgeous flowers! Their colour is just amazing! They are alstroemeria, I think. I usually have white ones, but chose these because when I got them they hadn't opened and looked almost white. Love the little plaque - sit long, talk much! Wow - I love them! Think the lovely spring sunshine is making everything look so bright, even indoors. Got this little punnet of clementines at the supermarket, such gorgeous colour here too. These two little pewter measuring cups have been in the family for many years. They are like mini tankards. The small one is just four and a half cm high and holds 25 ml of fluid. The larger on is five and a half cm and holds 50 ml of fluid. Think they were used in a pub to measure out alcohol. The wording on the underside is "Harry Mason Ltd, Birmingham" - the company still make items for bars and has been in business for over 200 years! I keep these in my china cabinet, but now that I've photographed them, I was thinking it might be time for a polish, but I love the patina of age on them. What do you think? Look what I found lurking at the back of the wardrobe! My original afghan coat from the 70s! It was so cosy and warm and of course, super trendy ... at the time! Looks well worn, doesn't it. These coats were very popular for a while in the 70s. I remember some afghan coats had embroidery on them and were much longer in length than mine. Do you remember afghan coats? Did you have one?